Large radiolucent area, 54" x 17.5"
- X-Ray Film Tray: Removable film cassette tray for 14" x 17" film with cassette mask for 10" x 12" film. Film cassette tray can be removed from either side of the table. 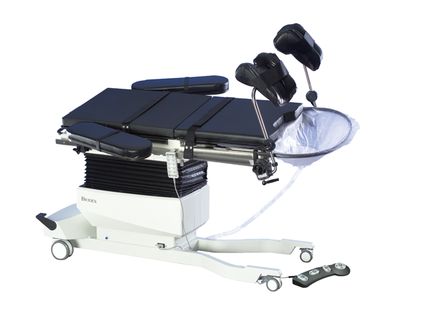 Weight tested to four times the patient load rating. Power: 115 VAC or 230 VAC and Battery. Battery automatically charges when table is plugged in. An additional battery can be charged with optional wall-mounted charger.